I recently heard someone say “the days are long, but the years are short” and that is so true. Time has this weird ability that the clock never seems to move when you’re staring at it. But, you could swear that it was just Easter so how can we be most of the way through Fall already? A few weeks ago, I had a rare Saturday afternoon off from running around to soccer games so I pulled out my stamp set Lighthearted Leaves and my Vintage Leaves Thinlets and cut out a bunch of leaves. At the time, we were having record heat waves (100’+) and our Fall weather better resembled summer weather. Although here in SoCal, we typically have our highest heat in September and October. Then starting November 1st, it’s like someone flipped a light switch and it’s time to put away the sandals and capris. Even though I was sitting here baking in the heat, I managed to crank out some fun Fall cards that I’ll share over the next couple days before I turn to Christmas projects. When in doubt, layer, layer, layer. 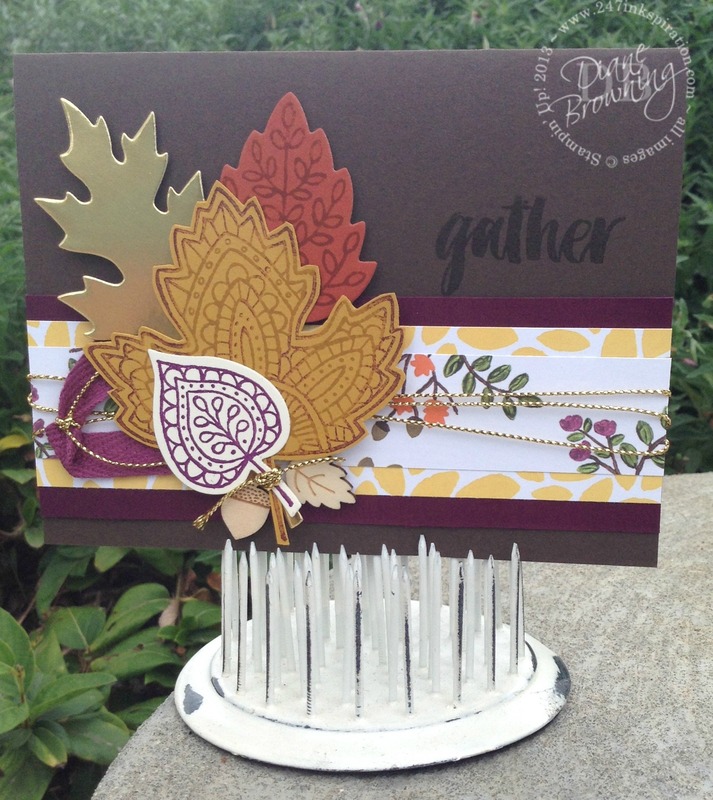 The beautiful Fall paper with the Blackberry Bliss and Early Espresso card stock – amazing! And those leaves! Fabulous! I have to admit that I did hesitate getting this stamp set because I already had a leaf stamp set. But this one is truly lovely. And do you see that tiny wood acorn and leaf peaking out at the bottom? I was hoarding them because they are adorable. Then I decided I really needed to share them so others could see how stinkin’ cute they are. 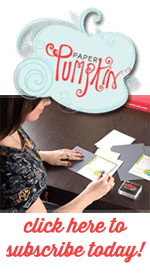 There’s still time to make some fabulous Fall cards. You can order these supplies on website. Click the link to “Shop Now”.